CLONEA STRAND: BLUETHROAT & 5 Black Redstarts. 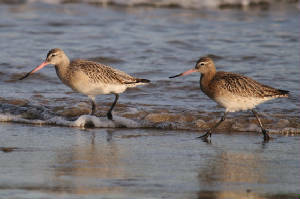 DUNGARVAN BAY: SPOONBILL in western bay, BLACK-NECKED GREBE & Slavonian Grebe at Ballynacourty, 2 Long-tailed Ducks & female Pintail off pitch & putt, adult Mediterranean Gull at Barnawee, adult dark-bellied Brent Goose at Ballyneety, Long-eared Owl at Ballyneety. 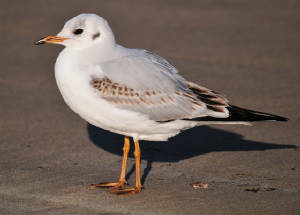 ARDMORE: Adult Mediterranean Gull & ringtail Hen Harrier. RAM HEAD: 2 Tree Sparrows & 5-10 Yellowhammers. LISMORE TO CAPPOQUIN: Grey Squirrel with 4 Red Squirrels. DUNGARVAN: BLACK-NECKED GREBE, Slavonian Grebe & Common Seal off Ballynacourty pier, 2 Common Scoter off Ballynagaul, 7+ Chiffchaffs at Knockanpower Lower. 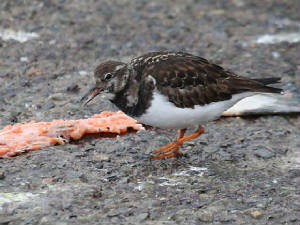 CLONEA STRAND: BLUETHROAT, 3 Black Redstarts & Purple Sandpiper at Ballinclamper. 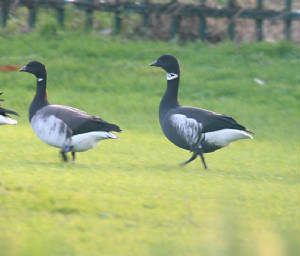 DUNGARVAN: BLACK BRANT at pitch & putt club, Merlin at Ballynagaul. BLACKWATER CALLOWS: Green Sandpiper at Ballynerroon, nr Ballyduff. WATERFORD CITY: 2 male Blackcaps in garden (daily). 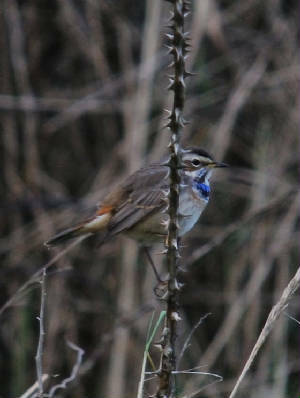 CLONEA STRAND: BLUETHROAT & Black Redstart at Ballinclamper. 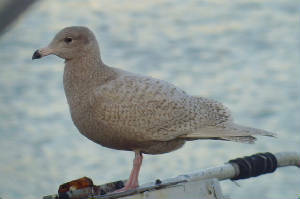 TRAMORE: 32 Gadwall & 2 Shoveler at boating lake, Pintail at Lisselan, Black Redstart at west end of beach. 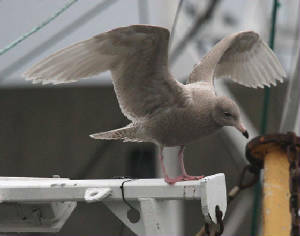 DUNMORE EAST: 1st-winter Glaucous Gull (video) & Iceland Gull, & Black Redstart. 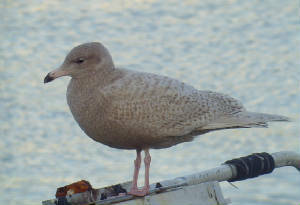 CLONEA STRAND: BLUETHROAT, adult Yellow-legged Gull & 1st-winter Iceland Gull at Ballinclamper. DUNGARVAN: BLACK-NECKED GREBE, Slavonian Grebe, 2 Velvet Scoter & 2 Long-tailed Duck off Ballynacourty pier, adult Mediterranean Gull at Barnawee, male Brambling at Abbeyside, Green Sandpiper at Killongford, 3 Chiffchaffs at Poulapucha, Ring, SPOONBILL & Merlin at Youghal road. 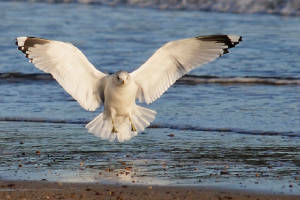 WHITING BAY: Adult & 1st-winter Mediterranean Gull. 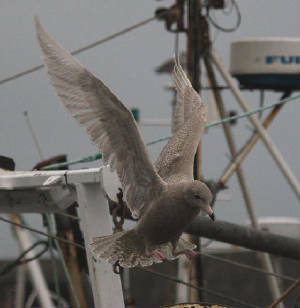 HELVICK HEAD: 'Blue' Fulmar flew west. DUNGARVAN: 4 Common Scoter at Ballynagaul, 5 Chiffchaffs at Knockanpower Lower, Ring, 2 Long-tailed Duck at Quanns, dark-bellied Brent Goose at pitch & putt course. CLONEA STRAND: BLUETHROAT still present, also Black Redstart at Balllinclamper. 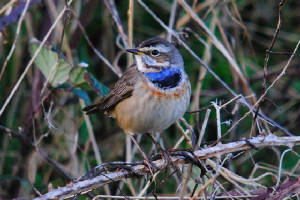 CLONEA STRAND: BLUETHROAT still present on Christmas Day! 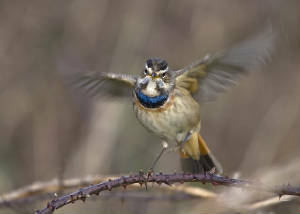 CLONEA STRAND: BLUETHROAT & 2 Black Redstarts at Ballinclamper. 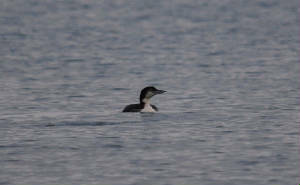 DUNGARVAN: BLACK-NECKED GREBE, Slavonian Grebe & 2 Velvet Scoter off Gold Coast, 2 Long-tailed Duck off Abbeyside, adult BLACK BRANT & adult dark-bellied Brent at pitch & putt course / Quann's, SPOONBILL on Cunnigar, 5-6 Chiffchaffs at Knockanpower Lower, Ring. CARRIGNAGOUR (nr Lismore): Crossbill flock. DUNGARVAN: Adult dark-bellied Brent Goose at pitch & putt course. 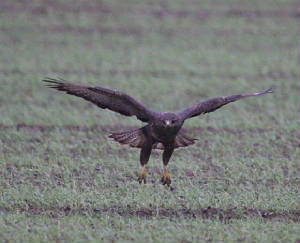 ARDMORE: >50 Snipe at the Curragh. 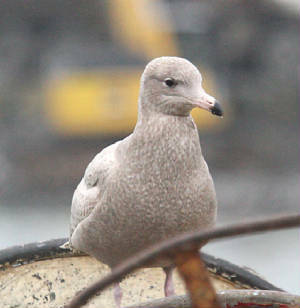 DUNMORE EAST: Iceland Gull., 1st-winter Glaucous Gull & 3 Purple Sandpipers. 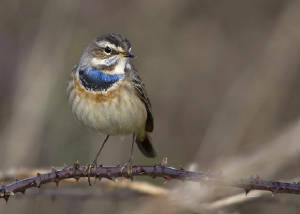 CLONEA STRAND: BLUETHROAT & BUFF-BELLIED PIPIT at Ballinclamper. DUNGARVAN: 1500+ Brent Geese, 43 Great Crested Grebes & 4 Great Northern Divers, SPOONBILL near Cunnigar tip, Long-tailed Duck inside Cunnigar, Slavonian Grebe & 2 Velvet Scoters off Ballynacourty pier, 3 Common Scoters off Ballynagaul, Merlin, 20+ Siskins & 20+ Lesser Redpolls at Youghal road. 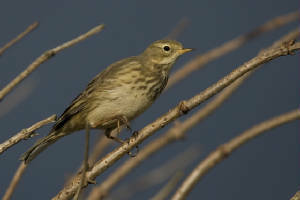 CLONEA STRAND: BUFF-BELLIED PIPIT & BLUETHROAT at Ballinclamper. 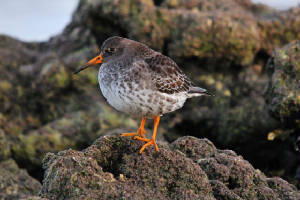 CLONEA STRAND: BLUETHROAT, Black Redstart & Purple Sandpiper at Ballinclamper. DUNGARVAN: 2 Velvet Scoters off Ballynacourty pier, BLACK BRANT & 2 adult dark-bellied Brent at CBS grounds, Kingfisher & Common Seal at Barnawee. 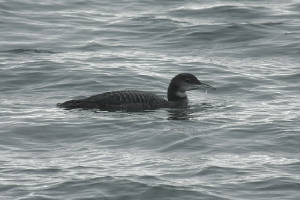 HELVICK HEAD: 2 Black Redstarts, 3 Great Northern Divers & a Fin Whale. 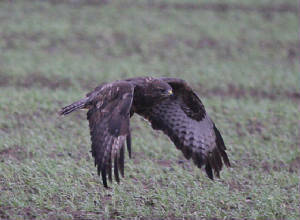 RAM HEAD: Short-eared Owl, 7 Red-throated Divers & 3 Fin Whales. CLONEA STRAND: BLUETHROAT & BUFF-BELLIED PIPIT still present, Merlin, 3 Purple Sandpipers & 3 Black Redstarts. DUNGARVAN: BLACK-NECKED GREBE & 2 female-type Velvet Scoters off Ballynacourty pier, 3 Pochard off Gold Coast, SPOONBILL in western bay. 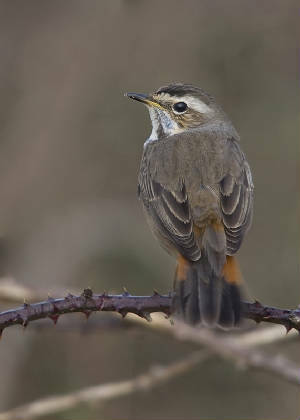 CLONEA STRAND: 1st-winter male BLUETHROAT still present (since 20 Nov) & 5 Black Redstarts. TRAMORE TOWN: Blackcap in garden. DUNGARVAN: Blackcap at Southways, Abbeyside. 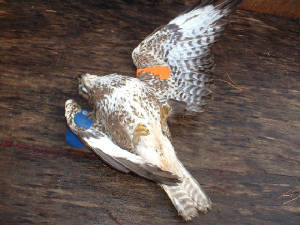 EAST WATERFORD: A Buzzard found dead today had been ringed as a chick in Co Cork this summer. 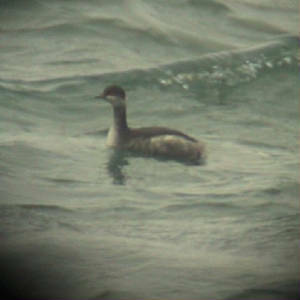 DUNGARVAN: BLACK-NECKED GREBE & Long-tailed Duck off Ballynacourty pier, Blackcap at Ballynacourty, BLACK BRANT at pitch & putt course, 2 Otters at sports centre, 2 adult Mediterranean Gulls at Barnawee. CLONEA STRAND: BUFF-BELLIED PIPIT still present & 4 Black Redstarts. TRAMORE BACKSTRAND: Black Redstart at west end of beach, 1st-winter Mediterranean Gull & 27 Gadwall at boating lake, male Long-tailed Duck & 1020 Brent Geese at backstrand. 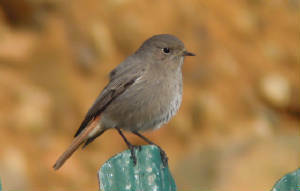 Nr CLASHMORE: Black Redstart at Ballyheeny (c5 km inland). 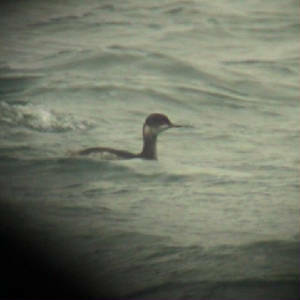 RAM HEAD: 21 Common Scoters past, 8 Fin Whales & 60 Common Dolphins. 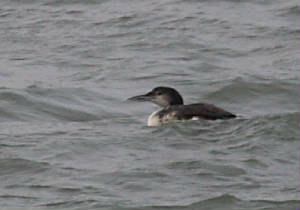 ARDMORE: Common Scoter at Curragh beach. 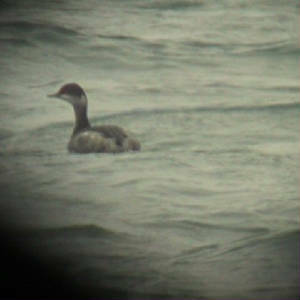 DUNGARVAN: BLACK-NECKED GREBE & 2 Long-tailed Ducks off Ballynacourty pier. 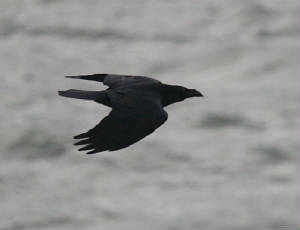 CLONEA STRAND: 6 Black Redstarts, 2 Whimbrel & 5 Purple Sandpipers. 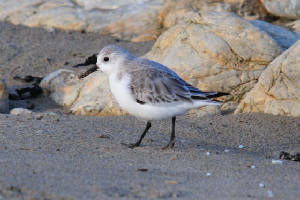 CLONEA STRAND: BLUETHROAT still present , also 3 Black Redstarts; a colour-ringed Sanderling at Ballinclamper had been ringed in northern Poland in August or September. 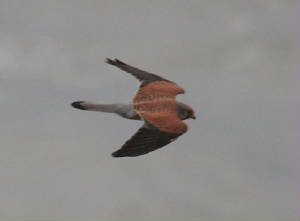 TRAMORE: 2 Snow Buntings near car-park before the sandhills, Merlin at embankments & 24 Gadwall at boating lake. CLONEA STRAND: BLUETHROAT & BUFF-BELLIED PIPIT still present, also 3 Black Redstarts. 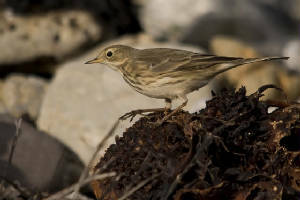 CLONEA STRAND: BLUETHROAT & BUFF-BELLIED PIPIT. 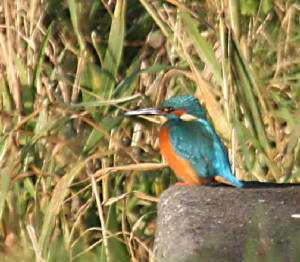 WATERFORD CITY: Kingfisher on St John's River. TRAMORE BACKSTRAND: 7 Whooper Swans. 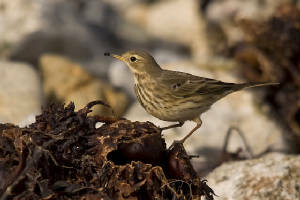 CLONEA STRAND: BLUETHROAT, BUFF-BELLIED PIPIT, Black Redstart & Purple Sandpipers. BUNMAHON: 2 Fin Whales <2 km offshore. 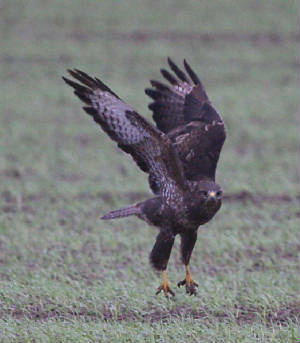 TRAMORE: Merlin at western end of beach. 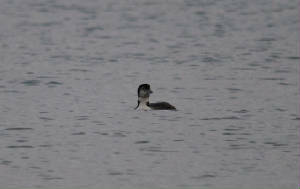 DUNGARVAN: BLACK-NECKED GREBE off Ballynacourty Pier, 2 Long-tailed Ducks (female & 1st-winter male) off pitch & putt course. 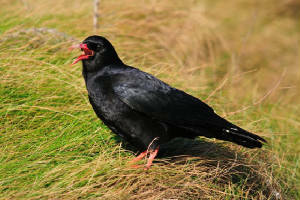 CLONEA STRAND: BLUETHROAT & BUFF- BELLIED PIPIT still present, also 7 Purple Sandpipers, 2 Black Redstarts & 25 Choughs. 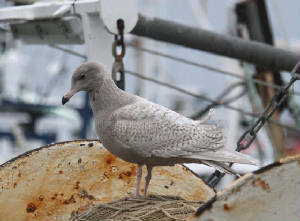 TRAMORE: 3 Black Redstarts at western corner of beach, Merlin & 26 Gadwall at boating lake, & adult Ring-billed Gull at Lisselan (later at boating lake). 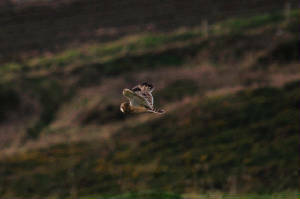 CLONEA STRAND: BUFF-BELLIED PIPIT (video) & 1st-winter male BLUETHROAT (video) still present , between Ballinclamper & Clonea Strand Hotel, also 2 Black Redstarts, 5 Great Northern Divers & a Common Seal. 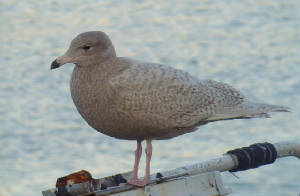 DUNGARVAN: BLACK BRANT at pitch & putt course, Ruff at Ballyneety, Long-tailed Duck inside Cunnigar tip, 3 Great Northern Divers & 2 Common Seals off Gold Coast. Nr CLASHMORE: 5 Yellowhammers at Ballycurrane North. 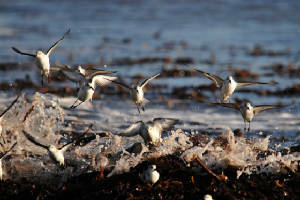 Nr BALLYDUFF: 3 Green Sandpipers at Ballynerroon. RAM HEAD: 5+ Fin Whales & 50 Common Dolphins. 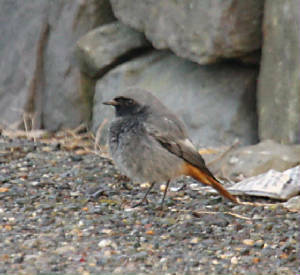 BALLYNACOURTY POINT: 2 Black Redstarts just west of lighthouse. 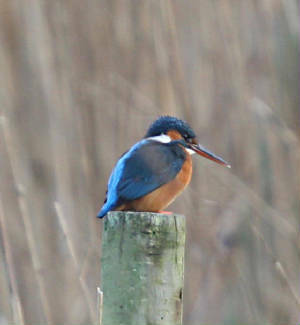 BUNMAHON: Kingfisher & Fin Whale.